Woods are experienced in working in high risk hazardous environments where safety is paramount. We work closely with the client to ensure all control measures are planned, monitored, audited and reviewed throughout the life cycle of every project. Kingsnorth Power Station was built between 1963 and 1973. The site is located on the north bank of the river Medway in Kent. The station stands on 162 hectares of reclaimed marshland on the northern bank of the Medway estuary; a few kilometres downstream of Rochester and Chatham. When commissioned its 4 units supplied 2Gw to the UK grid by coal or oil (although in practice oil was only used as a secondary fuel or for start up). It ceased generation in Dec 2012 as a result of the EU’s Large Combustion Plant Directive. Brown and Mason were appointed to demolish most of the site in 2013. 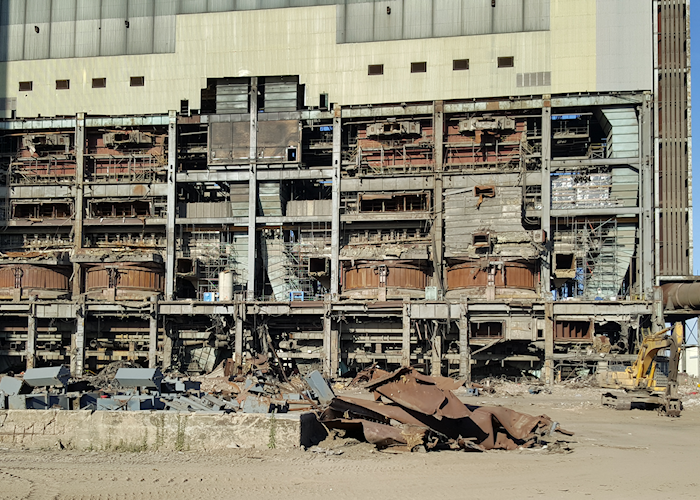 Woods were commissioned to assist Brown and Mason in removing large amounts of hardset asbestos insulation, silica block and contaminated MMMF via needle injection to high level ductwork, boilers and precipators. Enclosures are formed utilising shrink wrap protective sheeting for extra stability and large bespoke scaffolding with built in hoists to assist with waste transfer and to reduce manual handling. Works are fast track to ensure key demolition (explosive) dates are met without compromising safety. 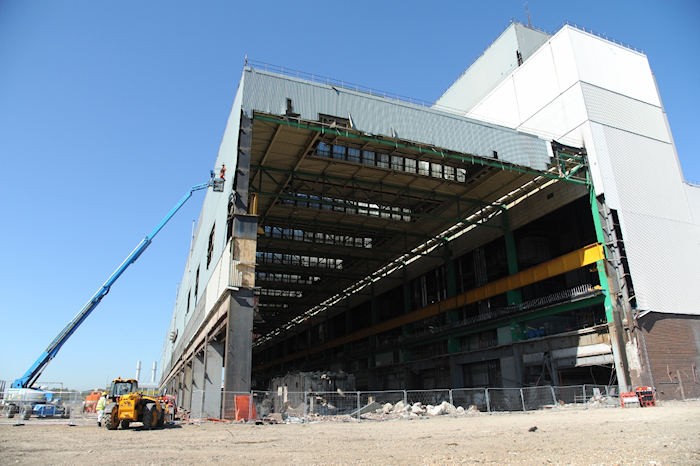 On completion it is estimated that 4,000 tonnes of asbestos containing materials will be removed.